The Connecticut Academy of Fine Arts was established in 1910 by a group of renowned Connecticut artists whose goal was to promote the work of local artists. They achieved this through the establishment of an annual salon show, a juried exhibition that featured work of the highest standards of artistic excellence. 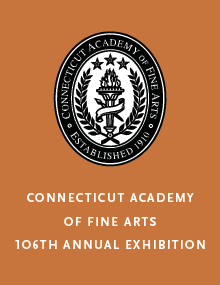 For information on the Connecticut Academy of Fine Arts, please visit CAFA’s website here. On view June 16 – July 29. Opening Reception: Thursday, June 29, 6:00pm – 8:00pm.